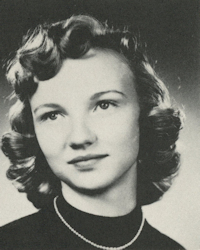 Obituary – Roberts, Fern Ida (Donaldson) « Perry High School Alumni Association, Inc.
﻿Class Assemblies 54-57, Glee Club 54-57, Girls Trio 55-57, Girls Sextette 54-55, Office Staff 54-55, Annual Staff 5657, All School Revue 54-57, Junior Play 55-56, Student Council 54-55, Christmas Vespers 54-57. Fern Ida Roberts,76 of Stillwater joined her Savior and her husband Dennis following her passing on Wednesday, Feb.18, 2015 at her home in Stillwater with many of her friends and family by her side. Services have been entrusted to the care of Palmer Marler Funeral Home of Stillwater and a graveside service celebrating Fern’s amazing journey will be held at 10am on Saturday, Feb. 21, 2015 at Sunset Memorial Gardens Mausoleum in Stillwater, OK. Public visitation will be held Friday, Feb. 20th from 12pm to 8pm at the Funeral Home. 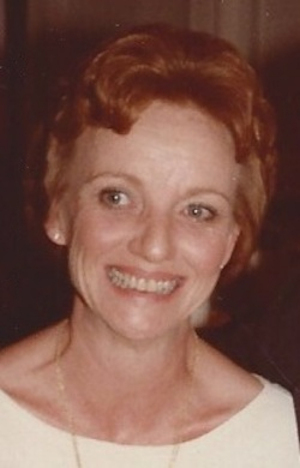 Fern Ida Donaldson was born on Dec. 3, 1938 in Perry, OK to Leland William and Anna (Ellis) Donaldson. She grew up in Perry, graduating from Perry High School with the Class of 1957. Following her graduation, Fern attended Business School in OKC where she received her Associates Degree in Business. After a whirlwind romance, Dennis and Fern wed on August 23, 1959 in Perry. They spent nearly five decades together before Dennis’ passing in 2008. After graduating from Business School, Fern went to work as a book keeper for local businesses including Charles Machine Works. The family relocated to Stillwater in the late 1960’s and she spent the majority of her time and attention assisting Dennis in running their family business, Dennis Roberts Trenching and Earth Moving. Fern also spent many years selling Amway and developing and marketing her own brand of Homemade Barbeque Sauce, which she sold and delivered to accounts across Oklahoma. When she was not working, Fern could often be found in her yard taking care of her garden and planting flowers. She was a member of the Stillwater Elks Lodge and the Stillwater Moose Lodge. She also enjoyed camping and baking for her friends and family. It was a well known fact that you never left Fern’s home with an empty stomach. She always had an open door and a kind heart and she always put the needs of others before herself. Although she struggled with serious illness in her last months, she never complained. She was always more interested in how others were doing and making sure that they were happy and healthy. She truly was a wonderful woman who left an indelible mark on the lives of many people during her 76 years of life and she will be missed by all who were fortunate enough to call her their friend. Fern was preceded in death by her parents, her best-friend and the love of her life Dennis Roberts, a sister Helen Williams, a nephew Eric Bay, and an infant brother Sonny Donaldson. She is survived by her two sisters: Dixie Ann Kenefake and husband David of Beeville, TX and Nancy Bay and husband Wayne of Steamboat Springs, CO. Fern is also survived by numerous nieces and nephews.